FOR VISITORS from UK : Things to do and tips! ► STATISTICS: The United Kingdom has long been Florida’s most important international market outside of Canada—the numbers show why. Every year, 1.7 million tourists from the UK visit Florida — more than visitors from Germany, Mexico, Australia, China and India combined. But it’s more important than just the volume of visitors, Visit Florida Florida President Will Seccombe said. British tourists spend and spend and spend. British tourists combined spent $1.5 billion on their visits, dwarfing what travelers from any other nation but Canada spend. The data shows us a Brit is going to spend more than any other foreign visitor. ……Statement December 10, 2016 from Visit Florida, the State’s official tourism marketing agency based in Tallahassee. ► WHILE IN MIAMI DO TAKE A CRUISE from the many beautiful liners which sail from PortMiami. Many visitors over from the UK take side cruises–you’ll hear the British accents onboard. TO BOOK: Contact the British Bureau’s cruise partner JoEllen Shatz with CruiseOne. Many of you know JoEllen as our agent from our Brilliant Brits cruises in 2000 on the QM2 and our 2008 Brits cruise to Bermuda, have previously booked cruises with her and report great satisfaction and savings. We recommend JoEllen highly. A fulltime cruises specialist since 1999, she has unparalleled experience with every cruiseline sailing out of Miami or Ft. Lauderdale to any destination/itinerary. As an agent, there’s not a Florida-based ship she has not tried firsthand. She is based near Port of Miami’s cruise ships. Reach JoEllen on  374-6477 or email query with your contact phone number to: jshatz@cruiseone.com NOTE: You can’t get a cruise cheaper by booking yourself and JoEllen will give you the exceptional personal service booking a cruise always involves. ► MIAMI Recommendations: British visitors to Miami may ask us for a first hand recommendation on where to eat in Miami or other advice. 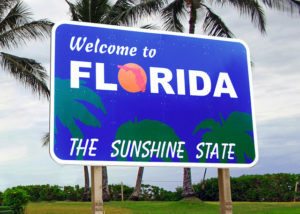 Email your query to britishbusinessflorida@gmail.com Your query must include your name + home city. The ex-pat publisher of this website has lived in the heart of Miami for 15 years and knows every square inch! ► TIMEOUT–the UK’s most comprehensive weekly reference publication on everything there is to do, has come to Miami. Smart move. With so much happening across Miami’s burgeoning new districts TIMEOUT MIAMI is the perfect fit and a deep market for advertising, methinks. Pick up a copy of TIMEOUT MIAMI wherever you see one–well worth it! Have a look at their website www.timeout.com and click on the Miami section. They only started publishing in December 2016 and only twice a year it seems, not weekly as in London. They distribute the magazines mainly around hotels in Miami Beach and Miami. I live/work in a downtown hotel, so picked up reference copies for my office. Am impressed. Obviously aimed at visitors, its jam-packed colour pages showcase everywhere to eat, drink, explore and play across the city. There are also brief recommendations for other parts of the state to visit, like Key west. ► Numbers of annual Foreign Visitors to Miami airport in order 1] Brazil 2] Mexico 3] Columbia and 4] UK. [ Canadians are the largest group of foreign visitors to Florida but most of them drive down, plus next-door Canadians are not really “foreign”]. ► FT. LAUDERDALE–a progressive city, with great beach life where I lived for 12 years. For all current information on what’s happening, attractions, restaurants and nightlife, consult the city’s official website www.sunny.org or phone their office  765-4466. ► KISSIMMEE…is more than Mickey Mouse. For all current information on what’s happening, attractions, restaurants and nightlife, consult the city’s official website www.visitkissimmee.com or phone their office  944-2400. ► ORLANDO is ever-improving and adding trendy new places and nightlife spots. For all current information on what’s happening, attractions, restaurants and nightlife, consult the city’s official website www.visitorlando.com or phone the Visitor’s Bureau on  370-5002. ► OTHER PARTS OF FLORIDA Florida is tourist-centric and has superb, helpful visitors bureaux for all areas to help YOU plan your visit. ► Want more nookie, British tourists? Come to Miami, Mate. MIAMI IS OFFICIALLY THE USA’S “Most Sexual City”!! Its residents——with tourists like you bold Brits augmenting the number—account for the highest numbers of sexual encounters per year. People in the Magic City make magic 177 times year, more than any other city in America, including Sin City Las Vegas or the City-that-Never-Sleeps New York. How do we know? Condom-maker Trojan surveyed thousands of adults in every state. Why Miami? The year-round warm weather allows people to show more skin, feel freer and sexier about their bodies and ladies aren’t hiding their charms in overcoats. Plus Miami’s large hot-blooded Latin community offers stunning Brazilian/Venezuelan/Colombian beauties for lusty Brit blokes to enjoy a holiday romance. American women are pretty too but not exotic. Also the cosmopolitan blending in Miami of so many nationalities and the round the clock drinking hours leads to more partying. ► Also always consult website www.miami.com for everything to do in the city. 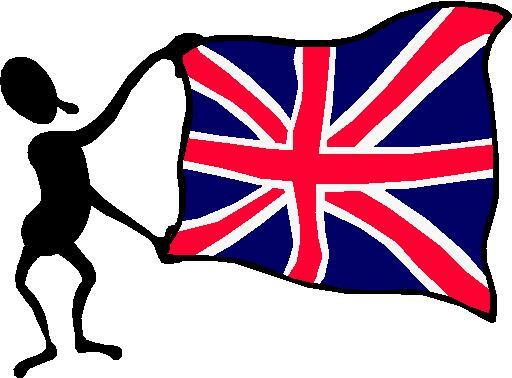 ► Come to our events just for Brits—-network and mingle with resident expats Brits. Go to British Events pages on this website for current happenings or send email to britishflorida@aol.com with ATTEND BRITISH EVENTS on the subject line. Include your name + city you live. ► MIAMI HAS A DAILY WATER TAXI. The bright yellow boats marked WATER TAXI have several stops along Biscayne Bay and the Miami River in a hop-on, hop-off loop from downtown Miami– to Miami Beach—to Bayside Marina downtown—then along the Miami River. I have taken it and recommend it to you as a way to see the city from a different perspective. You can buy tickets on the boat or in advance from their website www.watertaximiami.com Consult the website for schedules–which can change! Or phone  600-2511. It’s owned by a Dutchman called Max. ► RECOMMEND YOU TRY THIS! Miami now has red double-decker buses, run by Big Bus Tours of London, offering Sightseeing tours around the city. These are Hop-On, Hop-Off buses, offering 2 different loops: 1] CITY TOUR around the city of Miami and down to the Biltmore Hotel area in Coral Gables . This is on a single decker 2] MIAMI BEACH around Miami s world-renowned South Beach along the ocean and Deco drive area. The Gray line Bus HQ where tours start is on Bayside in downtown Miami , but you can hop on at various points on the route and pay on the bus too. TICKET COST and ALL INFO www.bigbustours.com or call tollfree 1-800-336-8233 in Florida to book. Update: There are now several different companies offering tours—most start from Bayside downtown. I have tried them. ——PK publisher. ► NEW TOURS to explore Miami Beach and Miami have been established. By bike, on foot, via bus with audio commentary. Visit www.discoverymiamibeach.com for all your choices. ► HIGHLY RECOMMENDED: British people love gardening and flowers. Take a tour down to the Redlands agricultural area about one hour’s drive south of Miami, in a suburb called Homestead. I have done this tour and it’s wonderful. Orchid farms, tropical blooms, tropical eatables, local wineries, a quaint English tearoom and numerous tropical nature experiences you will enjoy. Look at the website www.theredland.org first. FOR TOURS call  247-5172 Redland Pioneer Tours. Or ask your hotel concierge how to drive down to Homestead. ► You will see a free newspaper in street corner boxes, called The New Times. www.newtimesmiami.com This is the alternative local weekly which lists all the nightclubs, strip clubs, just-opened restaurants in all districts of Miami, all bars, party places, live music venues and ongoing local events which appeal to younger British tourists. Pick one up–very useful source. MIAMI’S MUST-VISIT DISTRICTS for restaurants and bars: Go into the Design District, Mid-town, Mary Brickell Village and downtown Miami. £ TIP: WANT TO SAVE WHEN TRANSFERRING over UK CURRENCY? DON’T USE YOUR BANK! Use Moneycorp. [ I use Moneycorp myself–FABB President.] The pound is shaky. That affects all expats in Florida who still have UK dealings. To transfer your precious funds, we highly recommend you use the services of Moneycorp. At lower rates than any bank! This will save you fees and grief, as we Londoners say! What your own bank won’t do is save considerable exchange fees, like Moneycorp. THE BEST WAY: Moneycorp, the UK company with an office in Florida and droves of satisfied Florida clients. It is the only UK currency exchange company licenced to deal in 50 states. Many expat Brits here have used this currency service for years and report huge savings and satisfaction. TO FIND OUT MORE: Phone Moneycorp’s Kelly Cutchin on  207-6616 at their USA HQ in Orlando to ask all your questions. Or email your query to Kelly Cutchin kelly.cutchin@moneycorp.com Moneycorp’s HQ is in England. Posted by the Florida Association of British Business [FABB]. Moneycorp have been trusted members since 2005. 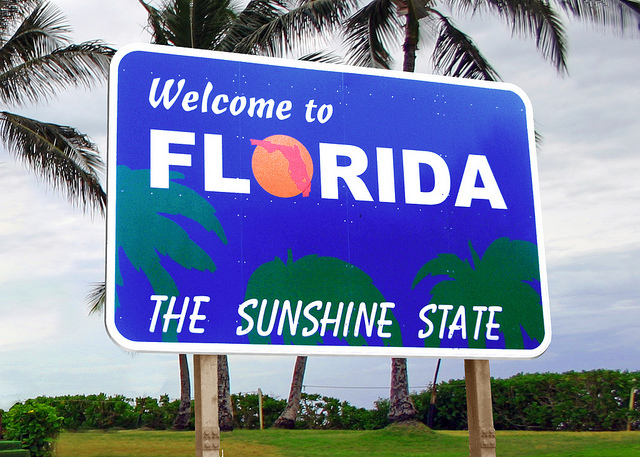 ► ARE YOU A BRIT LIVING IN FLORIDA? OR UK BRIT WITH PROPERTY THERE? Sign up for our eBritnews email—invitations to local British events and info relevant to expats. Send email to britishbusinessflorida@gmail.com On subject line put: Receive Florida eBritnews. IMPORTANT: Include your city + contact phone.